Lake Moraine is like a mini Caribbean Sea in the middle of the mountains. The turquoise of the water is so turquoise and so bright, it nearly convinced me to throw on my suit and dive in. But then I remembered it was 55F degrees out and I was wearing a fleece and hiking boots. No swimming thanks. But really, wouldn’t this water confuse you too? 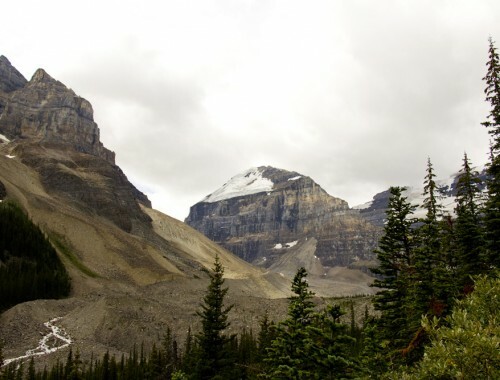 Before I traveled to Banff and headed out on my lightening fast road trip, I had never heard of Moraine. 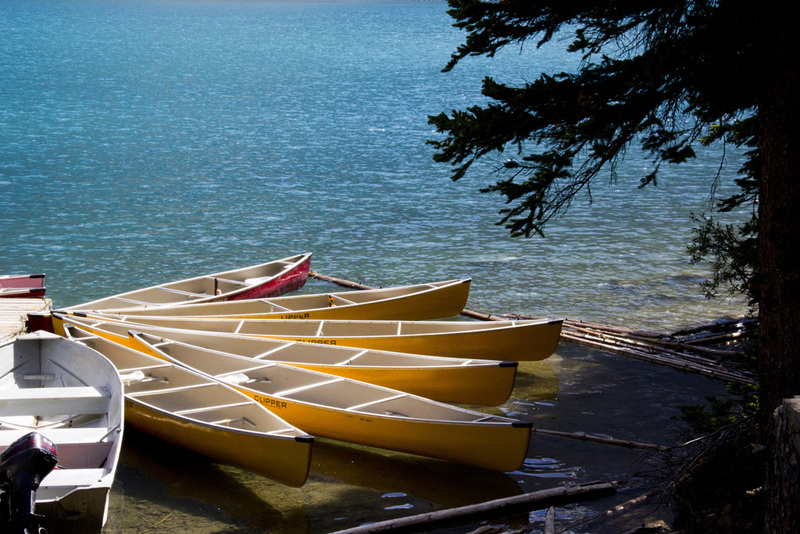 Lake Louise seems to cast a shadow over most other Canadian lakes when it comes to fame. Since my trip though, I firmly believe it should be Moraine with the notoriety. 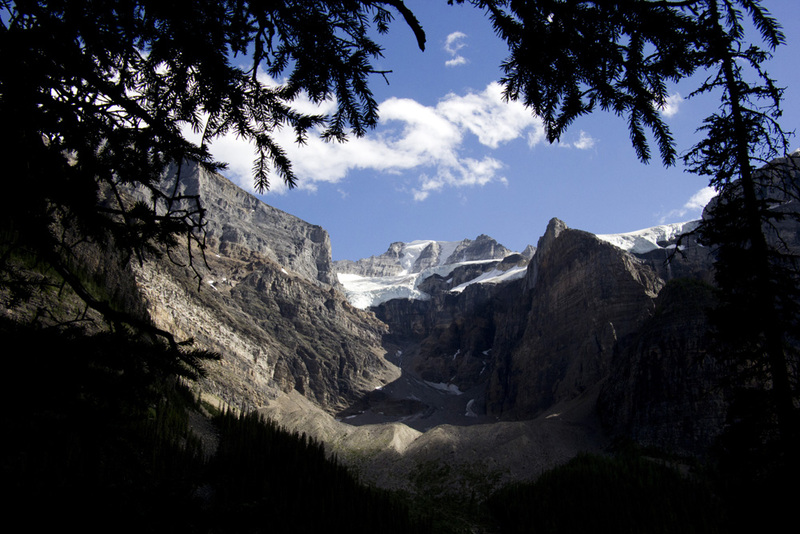 While Louise has stunning spa blue waters, a beautiful historic hotel, and mountains that seem to end up on most brochures and magazines, Moraine just takes your breath away. Even more so that Louise. I mean, look at that blue! So clear. So blue. Since I am a chemistry geek, I’m totally nerding out on why this lake (and all glacial water for that matter) is so blue. So I’m gonna tell you about it. Trust me, it’s cool. 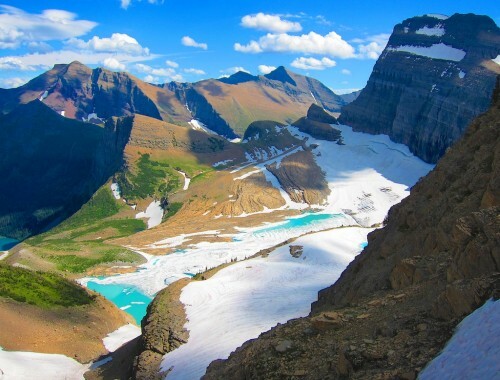 The color comes from the rock particles that are deposited into the lake as glaciers erode the rocks and mountains above. When the light hits this silt or “rock flour”, it absorbs some blue color, the water absorbs the red, oranges, and yellows of the color spectrum, and what is thrown back into your eyeballs is a little blue and a whole lot of green. Thus, incredible shades of blue-green, turquoise, and and aqua. And the siltier the water, the greener it is. In addition to causing color, rock flour also causes some glacial water to appear cloudy. Clarity all depends on the amount of rock flour in the as well as how it flows. 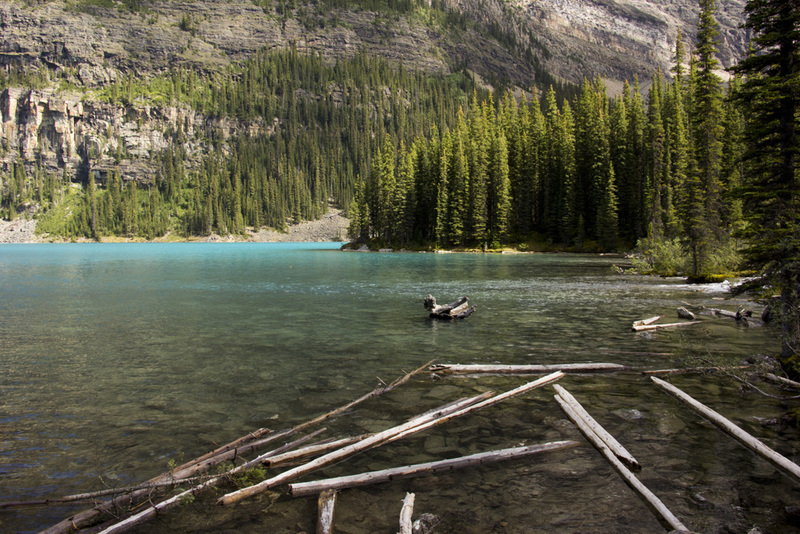 The water in Lake Louise is a great example of cloudy glacial run off while Moraine is perfectly clear. 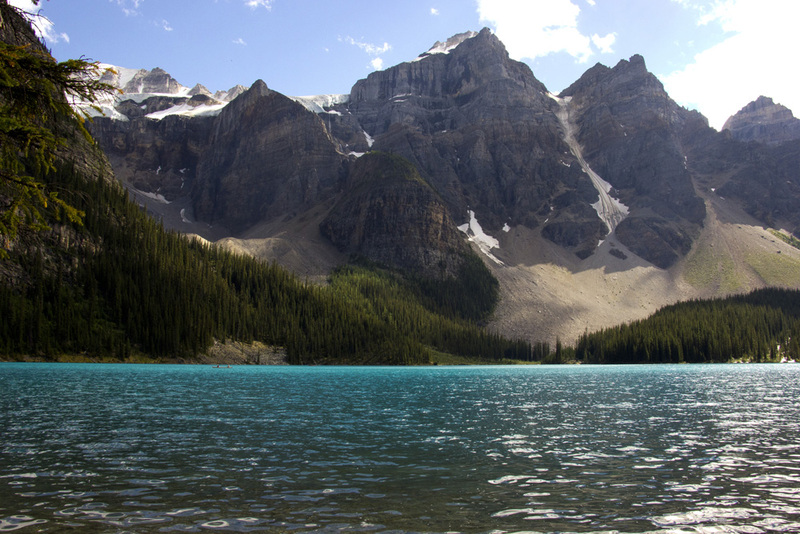 Thanks to all of these glaciers and this rock flour, Lake Moraine is clear and turquoise and completely breathtaking. All I wanted to do was stare at it. I chose to walk the lakeside trail so I could keep the azure water always visible between the trees. The Lakeside trail itself is easy and short and leads around to the mouth of the river that feeds the lake. Three kilometers of heaven flanked with Caribbean blue, the scent of pine, and clean mountain air. Oh yeah. 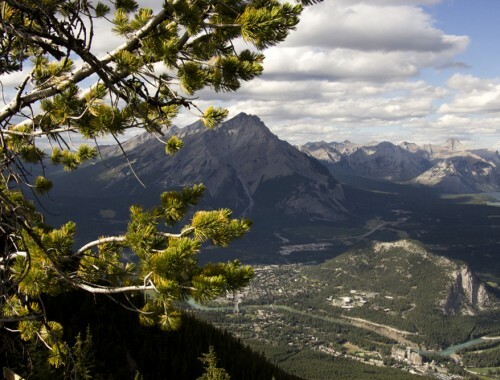 Don’t forget that this is still the Canadian Rockies and crazy mountains are everywhere. So when you do look up from admiring the color of the water, you’ll be treated some incredible views like this one. Views of the very mountains that are creating this lake’s stunning color. After a visit to Moraine, I’m pretty sure all the other lakes I visit in the world will look drab and gray in comparison. 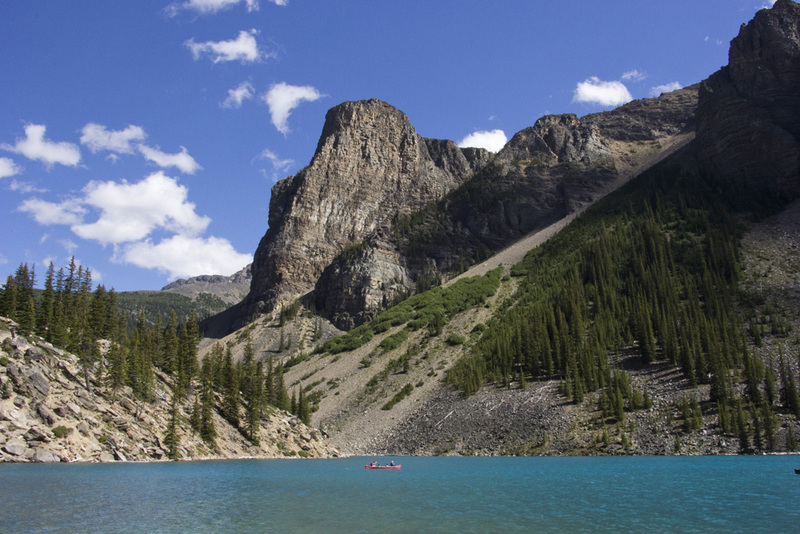 Practical Information:*Lake Moraine is about 70 kilometers from Banff and 14 kilometers from Lake Louise. *For lunch, I chose to have picnic in the sun on the lakeshore- it was awesome and I highly recommend doing it on a nice day. If you need to pick up some food nearby, there are some delis and general stores in Lake Louise town, which is right near the highway exit. 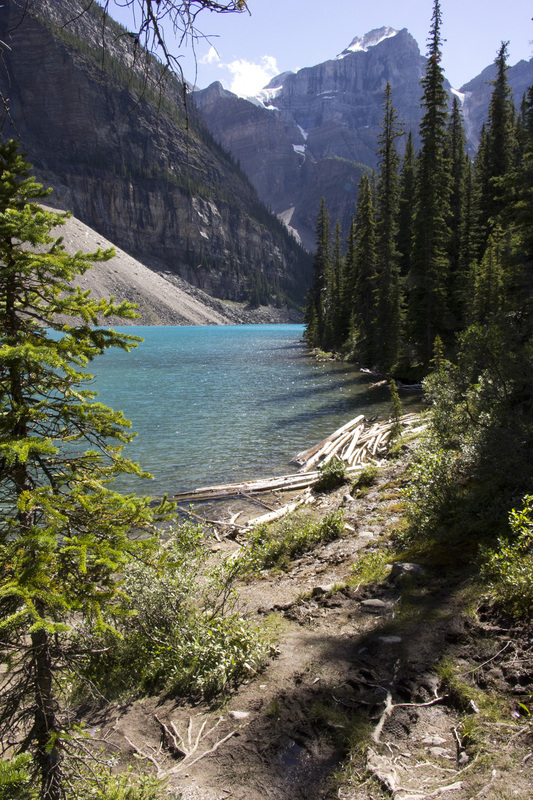 *The Lake Moraine lakeside trail is easy and short and only takes about 45 minutes roundtrip. * Click Here to learn about other trails in the area. I’m pretty sure you need to be mindful of bears along the trail so you should go in groups or with a guide. No one wants to be eaten by a bear. thanks love. and yes, lets do it. it was pretty awesometown.